As my final week comes to an end, I can still remember the nerve-wracking feelings and frantically packing my whole wardrobe before coming to Washington, D.C.: I am about to leave Oklahoma for 10 weeks, spend the summer with 21 other OCA interns, live in a house of 12 people, meet Asian Pacific Islander leaders and work with the National Council of Asian Pacific Americans, a coalition of 35 national AAPI organizations. What did I get myself into? One week prior to my flight, I remember trying to be proactive and make an everlasting impression by calling my direct supervisor, Kelly Honda, to discuss my responsibilities for the summer. 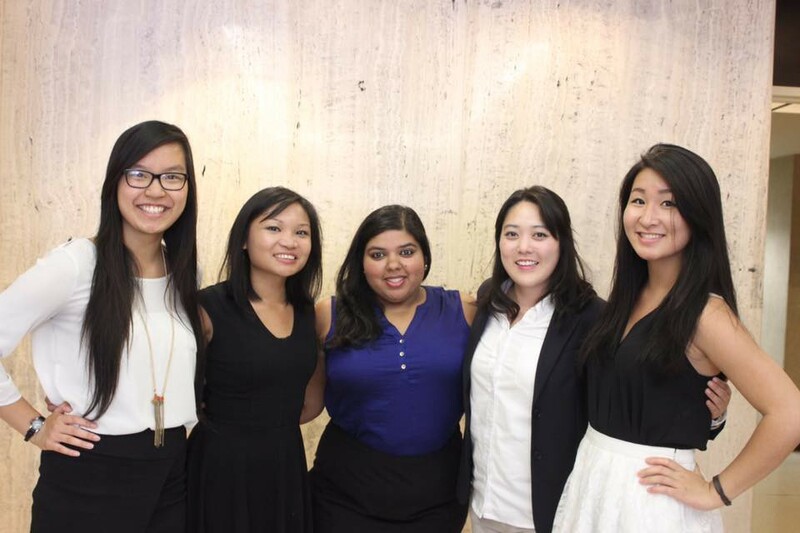 Two weeks later, I officially became an NCAPA intern with Tiffany Chen, and little did I know that I would use #NCAPACrew and #NCAPAFamily three weeks into the summer, feel the support from Nisha, Kelly, and Mary, create strong, life-long friendships with my OCA cohort, and strengthen my old friendships. Since last Monday, I’ve already dropped waterfalls of tears after spending time with my friends before they head back to their hometown or to a convention, or even if they’re still in D.C. So the thought of us going our separate ways allows me to reflect, drop more tears, and appreciate my summer. Honestly, I didn’t think that I would find a workplace where I felt comfortable and valued since I left my job at Almonte Library back in Oklahoma. The best part was watching the three staff run NCAPA (of course, there was the Executive Committee and other folks) without a National Director. Now, that’s impressive and they still made me feel included in the workspace. SEARAC Leadership Advocacy Training: I didn’t expect this training to be exhausting and empowering at the same time. This three-day intensive training enabled me to be in a space with Southeast Asian American advocates where I learned about health, education, and immigration issues facing our community. I’m grateful to have this experience because this was the moment when I learned the privilege of being in Washington D.C. and advocating for my community, who are the ones who should be here but can’t be here. Since the training, I kept this concept in mind to motivate and remind myself that I am doing this for AAPIs and my community back in Oklahoma. Advocating and lobbying for the All Students Count Act amendment: From scheduling visits with legislative offices to counting down the votes at the Senate hearing, this experience is hands down the most valuable and memorable moment of the summer. I will never forget the rush of adrenaline at the Senate hearing and then feeling disappointed when the vote was 47–50 because I definitely wish I could have done better to get those extra votes. However, multiple people have told me that this is the closest vote and I shouldn’t be too hard on myself because this is still progress on an issue that people have been working on for years. Since then, I still think about the ‘what if’, but I finally acknowledge that this is long-term work, and I’m extremely grateful to be part of this progress. For my in-depth experience, read my blog post here. Spending a day with Dr. Ho Luong Tran, President & CEO of NCAPIP, her staff members, and Dr. Kenneth Moritsugu: During this day, I attended a congressional briefing where Dr. Tran was on the panel. I stayed a little bit after to chat with Emily Zhou, NCAPIP’s intern, and I wanted to meet Dr. Tran because I thought it was incredible to have a Vietnamese American woman as the President and CEO. Little did I know that she would invite me to dinner, and I would spend the entire day with David, Policy Manager of NCAPIP, Emily, Dr. Moritsugu and his family. There came a point where I asked for advice on my career path and family. Since this summer, I had a very a hard time wondering how to reconnect with my parents and manage my career path, especially when my family has high expectations for me to go into a high-paying field. The conversation with Dr. Tran was very much needed me for me because she is a Vietnamese refugee, became a doctor, and now, focuses her work on policy and advocacy issues for the AAPI community. She told me two things: have an honest and truthful conversation with my parents about what I want to do as opposed to what they want me to do. By doing this, I would ease my parents into this transition, since ultimately, they just want me to be happy. Secondly, Dr. Tran said to me, “I don’t care if you want to become an urban planner or a doctor, whatever you do, just make sure you’re advocating for the AAPI community.” The moment she said this, I felt a sense of relief, almost like an approval, because hearing this from someone who became a doctor and is from a different generation means so much to me. It’s no doubt that talking to her lifted a weight off my shoulders. It’s even better to be around her because she is the exact replica of me (or I’m the exact replica of her), and when we were together, it was a crazy, weird moment. Advocacy Day with OCA: For the advocacy day, OCA interns went to Congress to advocate for Pell Grants and the AAPI community. This day allowed me to realize that I have knowledge and experience advocating on the Hill because in my group, I was the most experienced, which forced me to take lead. And I loved every single moment of it. I had Annie Liu and Elizabeth Ma in my group, and each of them did a wonderful job when we visited my representative from Oklahoma. Even though I went on several office visits with Kelly for the All Students Count Act amendment, this was my first time leading and speaking at legislative visits. On this day, I was able to combine my experiences with SEARAC and Kelly to effectively share my story and guide my group. Quality time with friends & people: Of course, I will never forget the moments with people here. From living in a house with 12 people to a spontaneous Baltimore trip to random breaks for frozen yogurt with NCAPA to feeling empowered in progressive spaces, I wouldn’t have this summer any other way. I really can’t believe it’s the end of my 10 weeks, and I’m truly going to miss my OCA cohort, but especially Mary, Nisha, and Kelly. Those three work together so well, and it’s really exciting to see everything they’re doing. I admire the three of them so much — more than they know. And it’s hard to leave NCAPA knowing that this will be our last time working together. As my friends have told me, if I start feeling all these emotions for others, then I know it’s been a worthwhile experience. I’m happy to say it’s definitely been a worthwhile experience, and I can’t wait to become their colleagues. Coalition of 34 national Asian Pacific American orgs based in D.C. Providing a voice for Asian American, Native Hawaiian and Pacific Islander communities.